There are as many opinions and as many ways to do things as there have been sunrises! 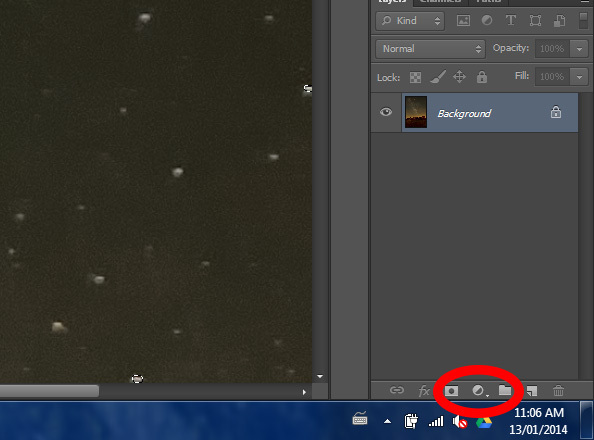 Like most of my tutorials, I take the approach that you have a basic knowledge of photoshop. If you don’t and need some further assistance with this tutorial, please feel free to contact me either here or on G+. 1. Step one - Here you can either be brave and work on your original layer, or you can create a duplicate layer. I’ve decided to work on the original layer. 2. 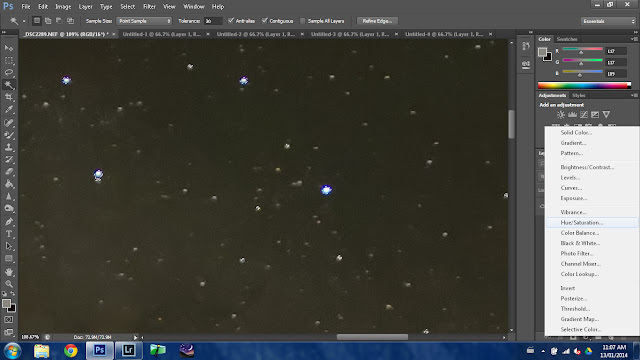 Using the “Magic Wand Tool” click on a large bright star. 3. 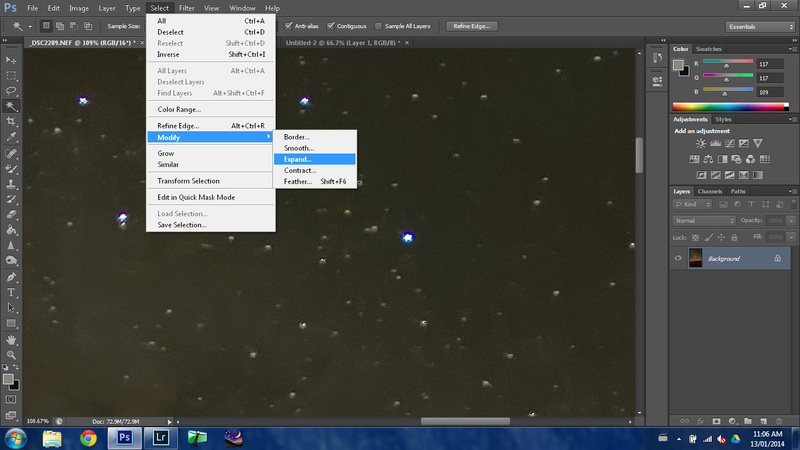 On the upper menu go to “Select”, “Similar” - This will select more large stars. you a pop up window that allows you to select how many pixels you expand your selection by. My “Goto” expansion value is 2 pixels. I find that this seems to work for me. You may find a different value works better for you. 5. Just like our last step, we will go to the “Select” portion of the menu again. The difference this time is that we will select “Feather”. Another pop up asking how many pixels to feather your selection by. 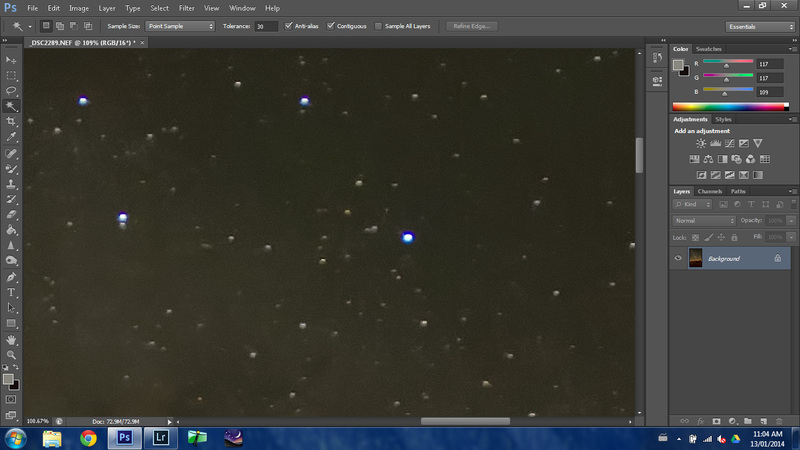 Again, I find that 2 pixels works out great here also. 7. Now I “play” with lightness and saturation until I like what I see. 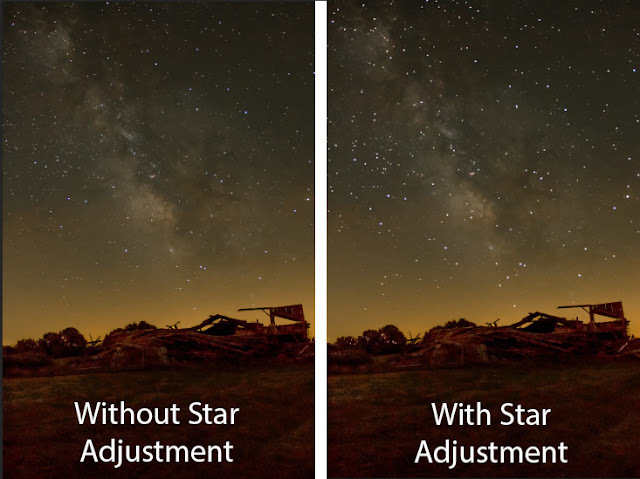 If you found this tutorial useful, please share so that others can enjoy imaging the night sky.